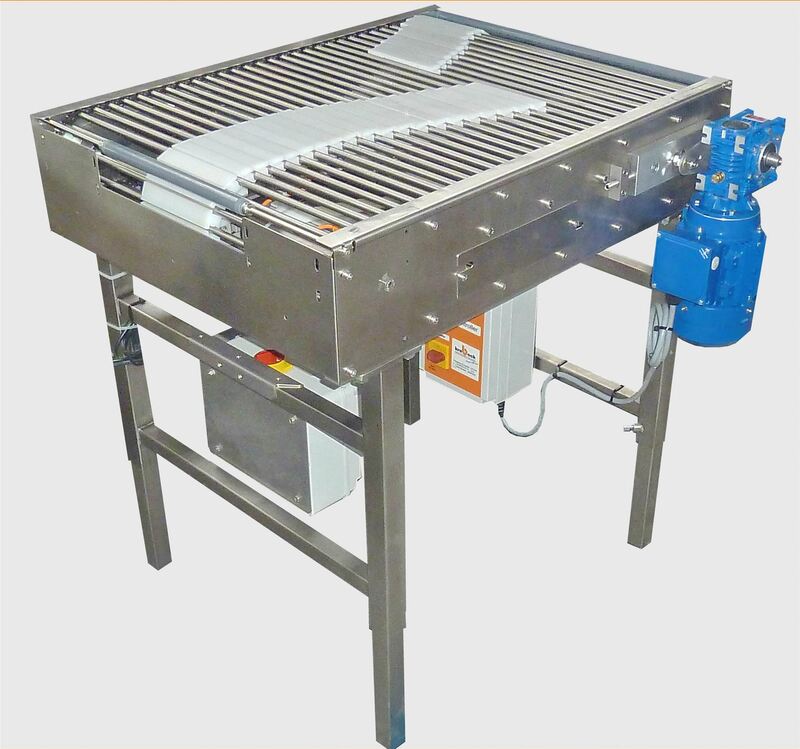 The line diverter in combination with a check weigher serves as distributor of weight checked products (punnets) onto separated, forwarding conveyor. The appropriate direction is triggered by the check weigher in line with predefined weight ranges. In this way, e.g. under and overweight products can be guided to a correction conveyor, whereas target weight products get forwarded straight to downstream processing. The line diverter is available in a small version for two diverting lines and in a broader version for three diverting lines.